Its been awhile since I've written a straight beauty post... So why not jump back into it with a post about why you shouldn't buy fake makeup, right? Right. Now I'm not talking dupes - inexpensive brands that give the same look as their higher end counterparts. No, I'm talking knockoff makeup. If you participate in any beauty forums, you know these exist and are often sold as authentic. Urban Decay Naked knockoffs are everywhere. MAC knockoffs are also extremely prevalent. There are a lot of people who will choose to buy these products knowing they are fakes: Just to save a few bucks. There are, of course, ethical reasons for not supporting the sale of knockoff products but did you know that these products may actually be harmful to your health? Check out the list below for more on why you should stay away from knockoff beauty products. The packaging may look almost identical. The actual product may look very similar. But you will not get the quality of the authentic product. And isn't that the whole point of buying beauty products that cost a bit more? If you've succumbed to the temptation of buying knockoff makeup, you've become too wrapped up in the "brand name" aspect of what you're using and missing the entire reason as to why these brands are so popular and a bit more costly. Quality. It would be a better use of your money to buy one authentic product by NARS, Urban Decay, or MAC than it would to buy several knockoffs. Probably the scariest thing about buying knockoff makeup is that the ingredients in the product are unknown. Because these products are illegal, there is no regulation of exactly what is going into them. So its no surprise that many knockoff beauty products cause skin rashes. 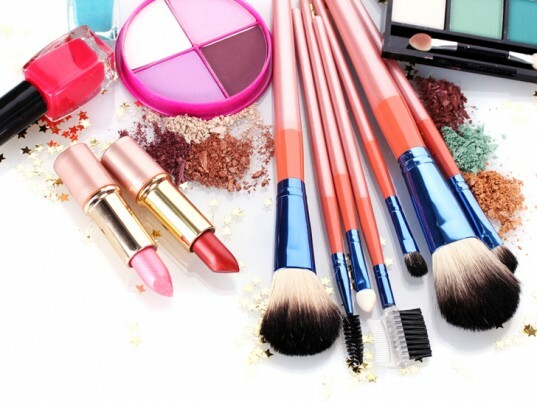 More than that, many counterfeit makeup items contain toxic levels of arsenic. Not to mention rat droppings. All of that (and who knows what else) is going on your face, lips, eyelids, and waterline- so very close to your eyes. Its just not worth it. Knockoff perfume also contains less than appealing ingredients including cyanide and -wait for it- human urine. Wouldn't you just love to spray that on before a hot date?! I will gladly spend the extra money to make sure I'm not putting poison or any kind of human excrement on my skin. So how do you avoid being scammed and sold fake beauty products? The most obvious answer is to stick to reputable sites like Sephora, Ulta, and the brand's official website when shopping for beauty products online. And lastly, know the brand. Know the collections, know the shades, know the names, and know what the authentic product looks like in detail. Counterfeiters are getting really, really good at duplicating the packaging of popular name brand cosmetics. But already knowing how an authentic product looks, feels, and even smells can help you detect counterfeit items. For example, MAC lipsticks are known for their creamy texture and sweet, vanilla scent. If you find a "MAC" lipstick that is waxy or lacks the wonderfully sweet scent, you know its counterfeit. If you're looking at the packaging alone, be sure to pay attention to each tiny detail - especially the font. On a knockoff the font may be too thin, a little different, crooked, a little too big or a little too small. If ever in doubt, pass on the purchase. Better safe than ...rashy. Your skin get irritated and damaged by the fake beauty products and can also make your skin more worse. So, it is always advised to test the beauty products carefully before applying. Every woman likes to have smooth, soft skin which radiates amongst others and sets them apart from the crowd. Good beauty products plays an important role in maintaing good skin. Very informative post.